Self-help options for vertigo and dizziness that you can start at home now. When the cerebellums fail to control the vestibular nuclei (VN) properly the VNs can get out of control causing drops in blood pressure when there shouldn’t be. This can cause dizziness. So why do the cerebellums start to fail? Treat Your Brain with Computer Games for Dizziness and Vertigo Sufferers. 3D TV, vertigo and dizziness. 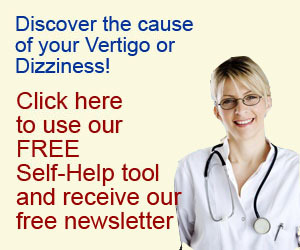 What is the difference between dizziness and vertigo?